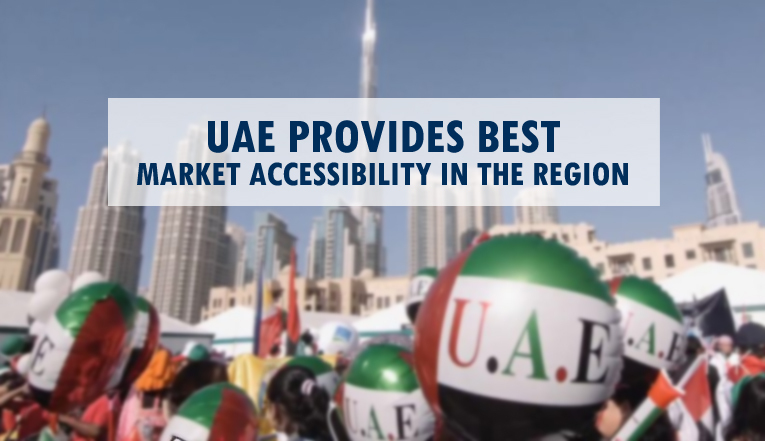 According to Agility Emerging Markets Logistics Index 2018, the UAE has been placed first in the region and third in the world in terms of market accessibility, connectivity and ease of doing business. According to the report, UAE is the leading destination in the MENA (Middle East & North Africa) region for quality of infrastructure, business conditions and specifically for logistics industry. The report says that the main reason that UAE has achieved this status is the presence of large numbers of free zones that are exempted from corporate and most of other taxes along with providing complete ownership of business and repatriation of profits. The survey is made after taken account of 50 emerging markets. Several other recent developments in different parts of the country have also helped UAE to attain this position. Dubai Logistic Corridor has opened to connect different free zones and other important destinations while the country is moving forward on non-energy economic growth based on knowledge economies along with creating new jobs and attracting new investment. Apart from several free zones and other recent developments, there are other factors also that are contributing in the growth of UAE as a business hub and also increasing its chances for becoming a preferred business location for entrepreneurs around the world. For this purpose, UAE provides world-class facilities like modern telecommunication system, a major international airport (Dubai Airport), modern highway network, cargo village and strategically located seaports. Therefore, the strategic location of UAE along with the opportunities it provides for growth of businesses have made UAE an important and highly dependable business destination in the whole world and it is expected that the country will retain this position (and even more ahead) in the future also due to its adoption of policies to overcome the issues related to oil-dependency. If you are interested in establishing your business in one of the world’s most searched location then you should seriously consider Dubai. We at Riz & Mona Consultancy can assist you in starting a business in either mainland or any of the 45 free zones in UAE. You can contact us via WhatsApp # 971-56-9971225.